Abstract: Solar radiation pressure (SRP) model is the basis of high precise orbit determination and positioning of navigation satellites. At present, it is not uncommon for the study of SRP model of BDS satellite. However, the establishment and application of comprehensive analytical SRP model based on satellite physical parameters are rare. Different from other conservative force and non-conservative force, SRP is closely related to the satellite's physical parameters and in-orbit state, which has obviously individual differences. 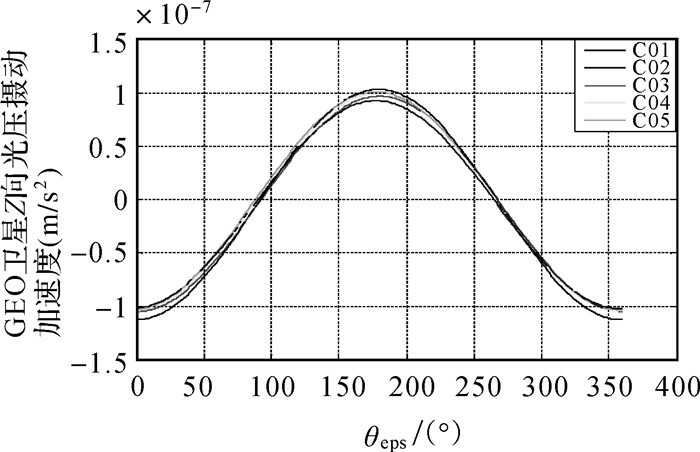 On the basis of the physical mechanism of solar radiation, BDS satellite physical parameters, in-orbit attitude control mode, and so on, comprehensive analytical model has been modeled in this paper. Based on precise ephemeris and laser ranging data, the precision of comprehensive analytical model has been verified. And the precision of orbit determination is decimeter using this comprehensive analytical SRP model. According to the satellite conservation theorem of angular momentum and change of in-orbit telemetry parameters, the difference between comprehensive analytical model and actual in-orbit interference force has been analyzed and calculated. The addition of empirical items on the comprehensive analytical model has been proposed in section 4. Taking C08, C10 satellite of BDS as an example, the precision of satellite laser ranging (SLR) checking precision of them is 0.078 m and 0.084 m respectively. Compared with using the improved CODE empirical model, precision orbit accuracy of them has increased by 0.021 m and 0.045 m respectively. 杨元喜. 北斗卫星导航系统的进展、贡献与挑战[J]. 测绘学报, 2010, 39(1): 1–6. YANG Yuanxi. Progress, contribution and challenges of Compass/Beidou satellite navigation system[J]. Acta Geodaetica et Cartographica Sinica, 2010, 39(1): 1–6. 杨元喜, 李金龙, 徐君毅, 等. 中国北斗卫星导航系统对全球PNT用户的贡献[J]. 科学通报, 2011, 56(21): 1734–1740. YANG Yuanxi, LI Jinlong, XU Junyi, et al. Contribution of the Compass satellite navigation system to global PNT Users[J]. Chinese Science Bulletin, 2011, 56(21): 1734–1740. 杨元喜, 李金龙, 王爱兵, 等. 北斗区域卫星导航系统基本导航定位性能初步评估[J]. 中国科学:地球科学, 2014, 44(1): 72–81. YANG Yuanxi, LI Jinlong, WANG Aibing, et al. Preliminary assessment of the navigation and positioning performance of Beidou regional navigation satellite syste9m[J]. Science China Earth Sciences, 2014, 44(1): 72–81. 刘林, 王海红, 胡松杰. 卫星定轨综述[J]. 飞行器测控学报, 2005, 24(2): 28–34. LIU Lin, WANG Haihong, HU Songjie. Summary on satellite orbit determination[J]. Journal of Spacecraft TT&C Technology, 2005, 24(2): 28–34. 李济生. 人造卫星精密轨道确定[M]. 北京: 解放军出版社, 1995: 1-5. LI Jisheng. Satellite precision orbit determination[M]. Beijing: The People's Liberation Army Press, 1995: 1-5. 陈秋丽, 陈忠贵, 王海红.基于导航卫星姿态控制规律的光压摄动建模方法[C]//第四届中国卫星导航学术年会论文集: (S3).武汉: [s.n. ], 2013: 1-5. CHEN Qiuli, CHEN Zhonggui, WANG Haihong. Method of modeling solar radiation pressure based on attitude control law of navigation satellites[C]//The proceedings of CSNC2013. Wuhan: [s.n. ], 2013: 1-5. 许尤楠. GPS卫星的精密定轨:模型、软件和测轨网布设研究[M]. 北京: 解放军出版社, 1989: 2-8. XU Younan. Precise orbit determination of GPS satellite[M]. Beijing: The People's Liberation Army Press, 1989: 2-8. 许其凤. GPS卫星导航与精密定位[M]. 北京: 解放军出版社, 1994: 2-11. XU Qifeng. Navigation and precise positioning of GPS satellite[M]. Beijing: The People's Liberation Army Press, 1994: 2-11. 陈俊平, 王解先. GPS定轨中的太阳辐射压模型[J]. 天文学报, 2006, 47(3): 310–319. 赵庆海, 楼楠. 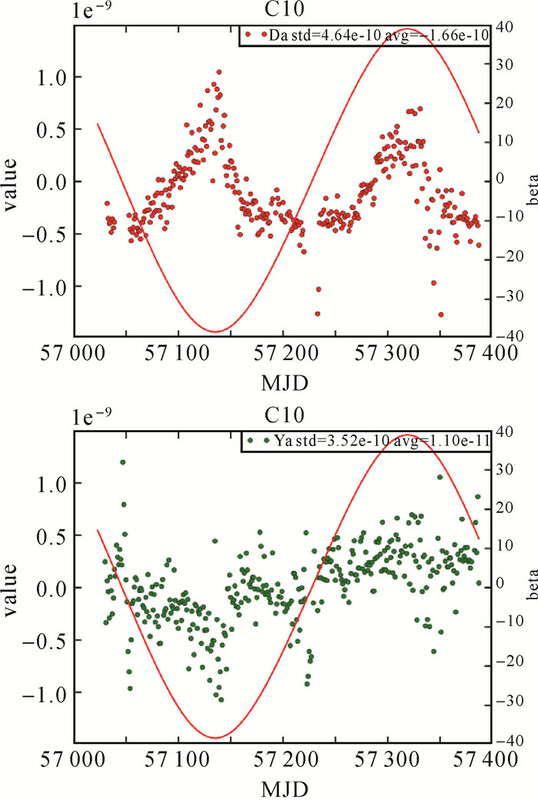 T20光压模型及偏导数的推导[C/CD]//第二届中国卫星导航学术年会电子文集.上海: [s.n. ], 2011: 1-4. ZHAO Qinghai, LOU Nan. 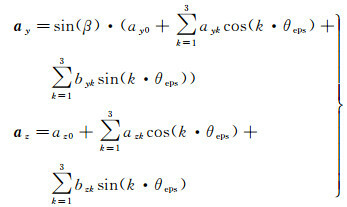 The derive of partial derivative for solar radiation perturbation model of T20[C/CD]//The Proceedings of CSNC2011. Shanghai: [s.n. ], 2011: 1-4. 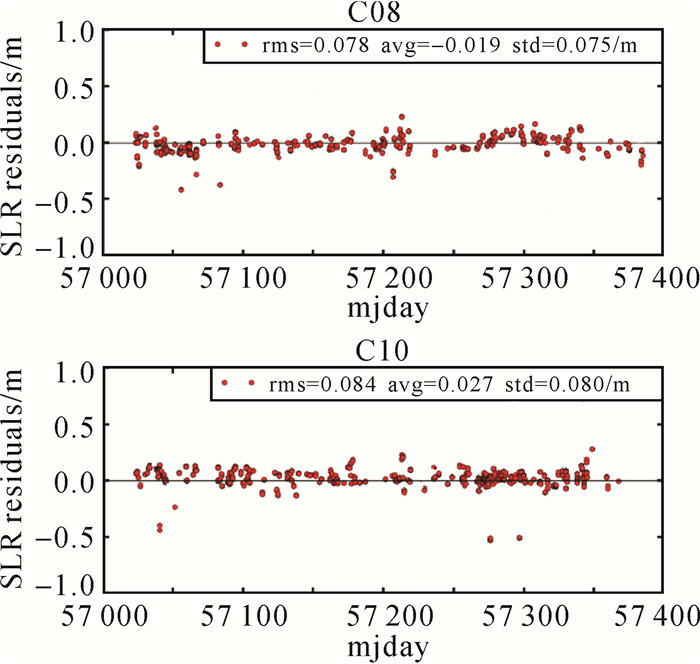 SPRINGER T A, BEUTLER G, ROTHACHER M. A new solar radiation pressure model for the GPS satellites in CODE IGS analysis center technical report[J]. Advances in Space Research, 1999(23): 673–676. 宋小勇, 毛悦, 贾小林. BERNESE光压模型参数的统计分析[J]. 测绘科学, 2009, 34(3): 25–27. SONG Xiaoyong, MAO Yue, JIA Xiaolin. 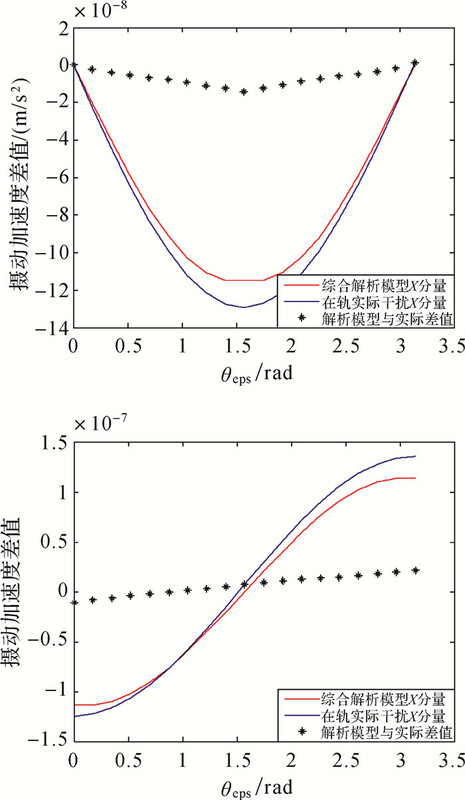 Analysis of the parameter of BERNESE radiation force model by statistic method[J]. Science of Surveying and Mapping, 2009, 34(3): 25–27. BAR-SEVER Y E. New and improved solar radiation pressure models for GPS satellites based on flight data[R]. Pasadena, CA: Jet Propulsion Laboratory, 1997: 1-33. BAR-SEVER Y, KUANG D. New empirically derived solar radiation pressure model for global positioning system satellites[R]. Pasadena, CA: Jet Propulsion Laboratory, 2004: 42-159. BAR-SEVER Y, KUANG D. New empirically derived solar radiation pressure model for global positioning system satellites during eclipse seasons[R]. Pasadena, CA: Jet Propulsion Laboratory, 2005: 42-160. SHENG Zhaoyu. Analysis about solar sail[D]. Hefei: University of Science and Technology of China, 2008: 8-15. VIGUE Y, SCHUTZ R E, ABUSALI P A M. Improved thermal force modeling for GPS satellites[R].[S.l. ]: STI, 1993: 32-34.